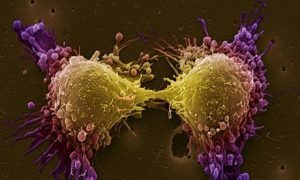 A new report released today by Cancer Research UK has shown that the death rates for breast, bowel, lung and prostate cancer in the UK have fallen by 30% in the last 20 years. The figures from Cancer Research UK show that breast cancer deaths have fallen by 38% since the early 1990s, while bowel cancer has dropped by 34%, lung cancer by 27% and prostate cancer by 21%. The report claimed that the fall in breast cancer deaths had been achieved from the improvement of screenings, developing more specialist care for patients and more effective treatments, such as tamoxifen, anastrozole and letrozole. As a result around 11,600 people currently die from breast cancer, compared with around 15,000 20 years ago. Bowel cancer patients have also benefited from the improved detection and better treatments for the disease. Future prospects for bowel cancer will also benefit from the recent introduction of screening for the disease is likely to further reduce mortality rates, Cancer Research UK noted. The report also noted that are now over 3,000 fewer lung cancer deaths than 20 years ago. However, the cancer charity noted that it is not all positive news, because as smoking rates began to fall later in women than in men, “death rates have actually risen in women” in recent years. There has also been little improvement in the outlook for people who are diagnosed with lung cancer. Improvements in treatment, in addition to early diagnosis, are also thought to have contributed to the reduced number of prostate cancer deaths. However, Dr Kumar also noted that there are more than 200 different forms of cancer and for some of these, “the advances are less impressive, such as pancreatic, oesophageal and liver cancer,” adding that “it’s vital to remember that more needs to be done to help bring even better results over the coming years”.